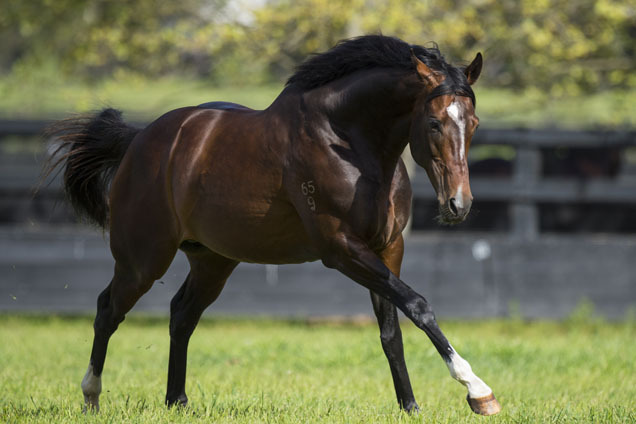 Dundeel, the classic winning son of High Chaparral dubbed 'the new Zabeel’, sired his fifth stakes winner when his exciting 2YO son Castelvecchio won the $2 million Inglis Millennium at Warwick Farm on Saturday. Castelvecchio (Dundeel x St Therese by Dehere) produced a super last to first win on a heavy track to win the first running of the sale restricted Listed race to remain unbeaten after two starts and give his 29-year-old trainer Richard Litt a career changing result. A former Kiwi, Warwick Farm-based Litt took over the stable after his father Jim returned to New Zealand following the death of another son Jay. 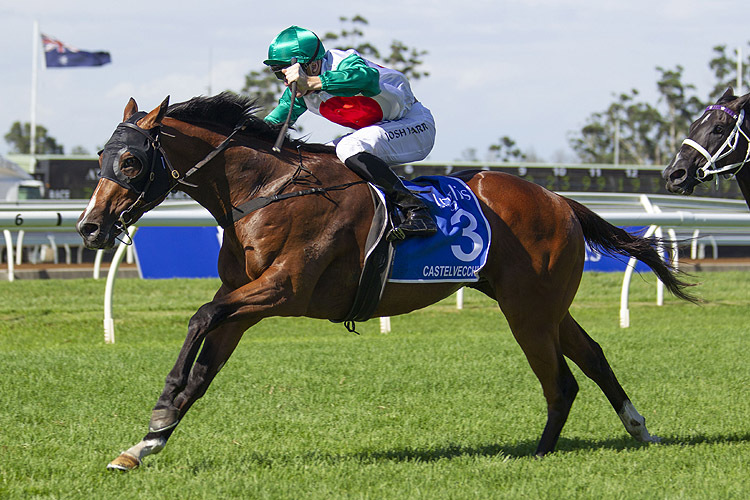 A $150,000 purchase from the draft of Arrowfield Stud at last year’s Classic Yearling Sale, Castelvecchio was knocked down to Litt’s clients Ottavio and Wendy Galletta under their Galletta Constructions Company banner. Castelvecchio won on debut at Canterbury in similar last to first style. Saturday’s win gave Litt and Galletta a $1,194,000 prizemoney windfall. "We put the horse with Richard because we believe that when we you put a horse with a young trainer in a small stable they get really good care,” said Wendy Galletta. Named after a famous museum in Verona, Castelvecchio adds to Ottavio Galletta’s long and colourful journey since he migrated to Australia from Calabria in Italy in 1963. He established his own construction company employing up to 200 people and began racing trotters and thoroughbreds in the 1970s. The 1976 Australian Harness Horse of the Year Don’t Retreat was among his first horses. Galletta has since dabbled in breeding and has raced four home-bred winners from his mare Our Fiction as well as the G3 winner Malavio, by Snitzel. 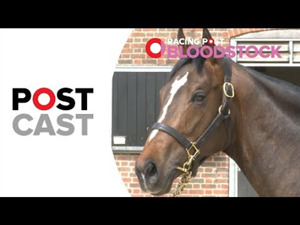 Castelvecchio is one of five winners from eight foals to race from the Listed winner and G1 placed mare St. Therese. They include last year’s G1 Spring Champion Stakes winner Maid Of Heaven (Smart Missile) and the G3 winner Mirrasalo (Redoute’s Choice). St. Therese is out of the four-time winner Moon Scent (Aloe), a prolific producer led by the four time G1 winner Planet Ruler (Kaoru Star). Castelvecchio continues the rise and rise in the stallion ranks of six-time G1 winner Dundeel. The Arrowfield based stallion recently notched his first G1 winner Atyaab and he now boasts 19 Australian winners with $2.1 million earnings in 2018/19, placing him third on the 2nd Season Sires’ Premiership and third on the 2YO Sires’ table. Arrowfield’s bloodstock manager Jon Freyer says Dundeel, produced from a Zabeel mare, is on the verge of a high performance stud career. “He’s the new Zabeel, that’s what he is,’’ Freyer said. “He’s got the favourite for the NZ Derby, he’s already had a Derby winner in South Africa, there’s this horse and multiple stakes winners. “Castelvecchio could be one absolutely out of the box. The horse is a magnificent colt, he’s destined for big things. Race Synopsis: A big win to go along with a big pay cheque, Castelvecchio is now unbeaten in two starts and put up a huge effort here. He drifted back to the rear from his wide draw and sat last to the 600m. Jockey Josh Parr scrubbed him up and he tacked onto the pack then went very wide from the 400m and was widest turning in. Parr got him balanced then he just kept coming at them, got to the lead at the 100m and ran clear for a big two length win in an impressive effort. Favourite Accession was well back and wide from the 800m, accelerated quickly from the 500m and although very wide into the straight was only a length off the lead. He took over at the 200m but was no match for the winner in the latter stages. Dawn Passage struck traffic from the 400m and didn't get clear running until inside the 150m and ran home well for third. Avon River also kept up a solid straight-long run for (4 lengths) fourth.